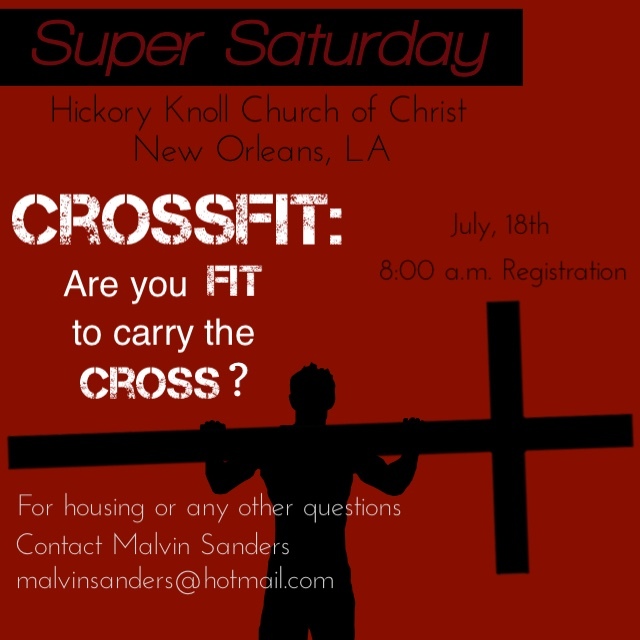 Super Saturday is a youth rally hosted by Hickory Knoll Church of Christ on the 3rd Saturday in July every year. We have free pizza, skits, singing, and great lessons from speakers who are brought in by Hickory Knoll. The cost of coming is FREE and housing is available if needed!